The modern leader in sustainable brewing committed to saving the environment very early on. Sierra Nevada Brewing Company was one of only 89 craft breweries functioning in 1980. To stand apart from the big industrial breweries of the day, Sierra Nevada took advantage of its location in Northern California to create a culture of environmental responsibility and ecological stewardship. Now, nearly 2400 craft breweries exist in North America and many of them have followed the lead of Sierra Nevada. Modern contemporaries of Sierra Nevada have set up their own eco-friendly systems. 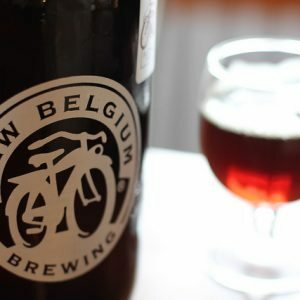 New Belgium Brewing has waste and production metric available on their website. They use an anaerobic digester that cleans the wastewater they create rather than just dump it back into the sewers. Even the employees contribute by subscribing to the Fort Collins Utilities Wind Power Program to reduce the impact their brewery has on the environment. This kind of dedication to the environment feeds back to the customers who support a responsible business, which encourages more businesses to look into green solutions. Many breweries source local ingredients for a variety of reasons. Cross-promotion is the biggest reason but local ingredients also have an impact on taste as well as the environment. Breweries careful about what they’re bringing into their business should also consider the waste they create. Wastewater is a large concern for any brewery, but water can be reused for cleaning or salvaged before being sent back to the water supply. Spent grain can be reused as mulch or composted. Well-designed packaging cuts down on waste that end up in the landfill. Product design is important, but the design of your facility can also impact your sustainability. Now’s the time to take advantage of the Federal Investment Tax Credit for solar energy. This tax credit goes down from 30% to 10% after December of 2016. This is just one example of how the government assists business in becoming responsible corporations. Going green doesn’t just offer good PR. It can lower your operating costs and decrease the amount spent on energy and other consumables. 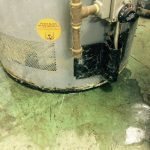 Even if you can’t afford a full-on environmental shift in your brewery, there’s room to improve in your operating procedures. Timing brews and boiler operation are two areas where most breweries can improve efficiency. Training your staff means making sure they adhere to the right way to wash dishes and how to keep your brewing spaces properly heated or cooled. 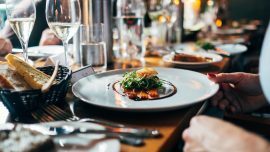 11 Super-Simple Tips to Reduce Restaurant Water Costs. Once you have procedures in place, you should be able to monitor the impact of these changes throughout your brewery. Continuously collect data to see what needs to change. Measuring your performance means you can set benchmarks and evaluate the effectiveness of any changes. This information lets you manage your machinery with efficiency and keeps you informed about the production, impact, and outcomes of the greener changes you’ve implemented. Dedicating yourself to sustainability means watching your production carefully and adjusting it when necessary. Brewery owners who want to reduce their environmental impact can embrace sustainability. It’s a must for small businesses that want to stand apart from the big players on the block. Breweries can explore many sustainability options. Managing input and output controls lets you keep inventory under control and overhead costs down. Consider revamping your facility to take advantage of government tax credits. Changing your processes improves efficiency. Measuring your output helps adjust your production as you go. An agile brewery is a business aware of the impact it makes on the environment and beyond. Featured image and post image courtesy of Flickr user Betsy Weber licensed under CC by 2.0. Post image courtesy of Flickr user Phil Whitehouse licensed under CC by 2.0.